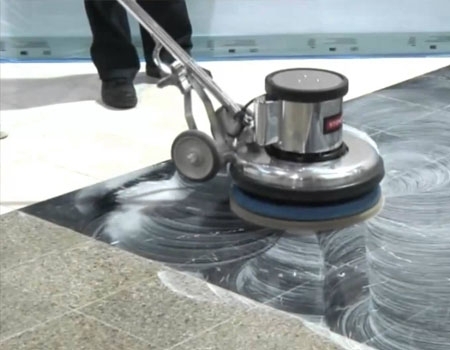 1) Start from vacuuming: This is the easiest method which you should follow twice within a week. Remove your furniture from a room or move it and vacuum your carpet (especially the hidden part of it). If your carpet is too dirty then vacuum it from both sides for better cleaning. Vacuuming is beneficial for wool, cotton or jute rug but is not good for silk area rug. Silk rug is known as the king of handmade carpet and it is a very expensive item. If you vacuum it then it can lose its beauty. 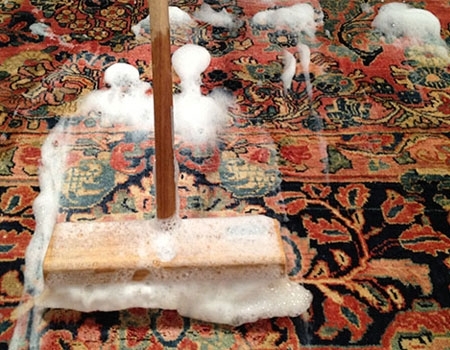 2) Clean with water and shampoo: You can use this method for wool, cotton and silk rug as well. Shampoo works like conditioner and provides shine to the pile. Take warm water and shampoo solution and flow it on a rug. If you are cleaning a silk rug then never use a hard brush. You can rug by your hand or any long and soft hair brush. For the silk and jute material rug, you can apply a hard brush. 3) Remove spots: If your rug is affected with any spots or spot of red wine then you can use ammonia or vinegar with water. Use this solution on the spot and rub with hand. Before applying ammonia, first, check the colorfastness of the carpet. Apply water on a small part of carpet and rub. If it is bleeding then doesn’t use ammonia and if it is not then going ahead. You can also use baking soda. For using baking soda, make a paste and put it on the spot and leave it for 20 minutes. When it is dried then vacuum it. 4) Use Cotton Cloth for Blotting: If it is wet or you are present at the time of incidence then put a white cloth on wet spot. Press cloth or newspaper on it and press so that it can absorb the moisture as much as possible. So, you can follow the above tips for cleaning your carpet this Diwali. Read More: Can Egyptian Cotton Sheets Induce the Perfect Sleep for You?